Pink and Black and White. Lately I’ve been doing a little thinking on an upcoming bridal shower I’m throwing for a friend with her other bridesmaids; think up a color scheme and theme is so much fun. 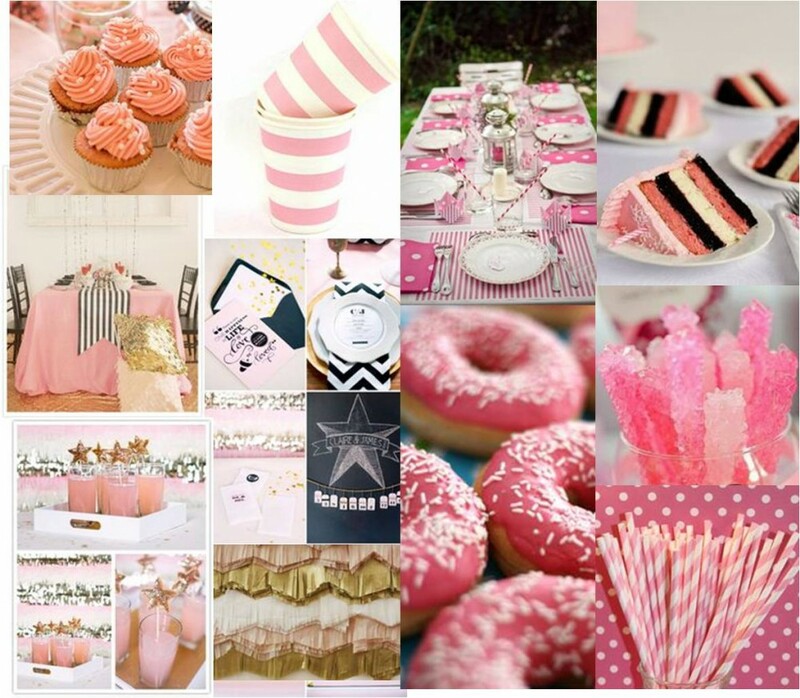 I thought I’d share the moodboard I’ve been working on — it’s going to be a pink, black and white girly extravaganza. One of my favorite details from these images is the black and white striped table runners — and I whipped up a few this weekend! Want to see more of my party planning inspirations? Follow my entertaining board on pinterest. Halloween celebration decorations. Happy Halloween. 3 Responses to "Pink and Black and White." Look like a delish party! What a great friend you are! This looks like the makings of a perfect, girly fete. Have you found any sources for those star drink stirs?